Mueller: "Of course we have to tighten the belt, but at the current point in time I'm confident that we can achieve this." HAMBURG -- Volkswagen Group aims to reach a settlement with the U.S. government over a criminal investigation before a new president takes office on Jan. 20, which would remove a major hurdle as the German carmaker attempts to recover from the diesel scandal. 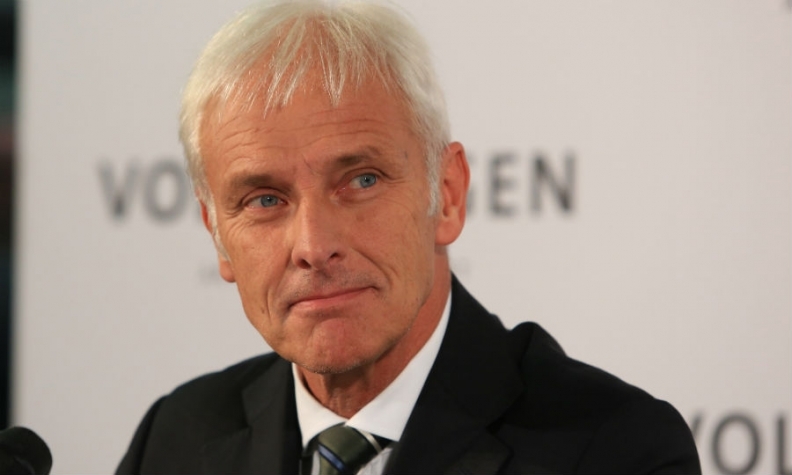 "Of course we'd wish to have a final decision before the American government -- and with it, the authorities -- change, so that we can have certainty," Volkswagen CEO Matthias Mueller said today during a conference in Hamburg. While he's "disappointed" that the investigations have continued for so long, negotiations with U.S. regulators are "very good," Mueller said. VW is still facing criminal charges in the U.S. after getting approval for a $15 billion civil settlement last month with the U.S. Environmental Protection Agency, the California Air Resources Board and disgruntled customers. A court hearing in San Francisco is expected to provide an update today on unresolved claims related to about 85,000 3.0-liter diesel engine cars that weren't included in the previous agreement. Mueller said he was "surprised" by the magnitude of the scandal triggered by manipulated diesel-engine software to rig emissions tests. The wrongdoing roots back as early as 2005, but details about internal investigations and an external probe by U.S. law firm Jones Day are subject to confidentiality agreements with authorities, he said. VW must reform itself to become leaner, but it has the financial muscle to recover from the scandal and at the same time stem huge investments in electric cars, Mueller said. "Of course we have to tighten the belt, but at the current point in time I'm confident that we can achieve this," he said.